Arkham Sanitarium is a new H.P. Lovecraft movie from Survivor Films in the U.K. It's going to be a feature-length anthology film that includes three faithful adaptations of Lovecraft short stories set in the 1930s, tied together through the investigation of Arkham Sanitarium in the 1950s by a woman named Alice Crow. 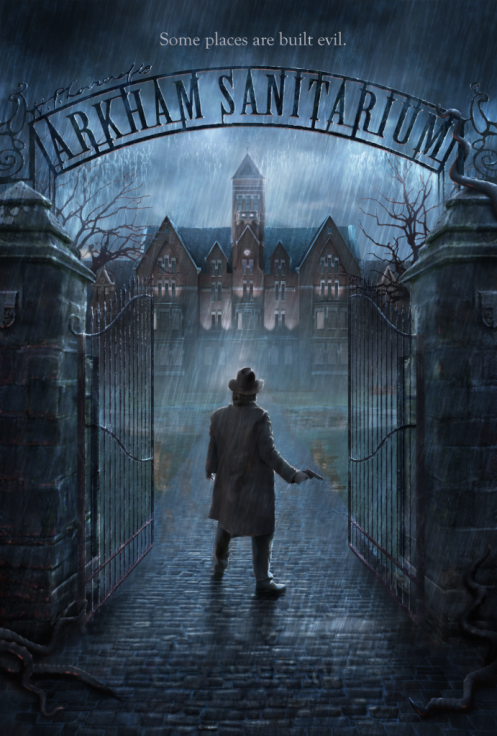 Arkham Sanitarium is an anthology of three short stories faithfully adapted from the works of H.P. Lovecraft – each of the three stories is set in 1930’s New England (specifically Providence, Rhode Island and the fictional town of Arkham, Massachusetts). The stories are connected by an original ‘wraparound’ story. In this story – set in the 1950’s – Alice Crow investigates the strange stories surrounding the infamous Arkham Sanitarium. Robert Blake, author and artist returns to Providence to research a shadowy cult for his new book – against the warnings of his friend Ambrose Dexter he tracks down the old church where the cult performed their dark rituals – in the dusty, decrepit ruins he finds an ancient device that summons a monstrous creature intent on destroying him. Edward Derby, a poet and fantasist, falls for Asenath, a cold but hypnotically beautiful student at Miskatonic University – the pair wed shortly after despite Edward’s close friend, Daniel Upton having concerns about the marriage. Daniel’s worries are well-founded - Asenath is the daughter of Ephraim Waite – an old man rumoured to be a practitioner of black magic before his recent death. Visit the Arkham Sanitarium site. That's an excellent selection of stories. They're both good and could be filmed with relatively low budgets. I hope they manage to pull it off. Love the poster, and I agree that those are three great stories that could easily be linked together. Your link for the site is incorrect, i just get a DNS error. The link for Survivor Films is http://www.survivorfilms.co.uk/. "Unfortunately survivorfilms dot com was nabbed by squatters when the domain expired – https://survivorfilms.wordpress.com will be moving to survivorfilms.co.uk soon." It's hard to pick a favorite story but "The Think on the Doorstep" is high on the list. Can't wait to see the treatment. Someone made a movie of it and, although I'm sure it was made with love, it was a snooze-fest. I'm glad someone is trying again with the short format. This area is awesome, extremely expert however open atmosphere. We were completely comfy asking questions thanks to Tony he really was knowledgeable & made it fun :) We will be back again! Many thanks guys ewsingles.com!